Stir in the garlic, onions, tomato, lime juice and your salt and pepper. Chill for 40 minutes to an hour. The longer you chill the better the flavors will meld. 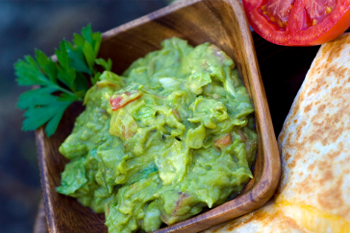 This looks yummy, I happen to have Avocado at home, I’ll try it tonight! Great recipe! I made this last night and served it on Oat Bran Toast as a healthy choice. This recipe took less than 10 minutes to prepare and was very tasty. Thanks for the free card, I will add it to my collection.